NeverWake is a sinew of rock and metal. Haunting dark guitar harmonies, heavy breakdowns, and melodic vocals, forged together creating a new sound where the listener is left in a quandary whether to bang their head or sing along. Described as “smashing 'Bullet For My Valentine' and 'Trivium' together NeverWake opens a new path for listeners and bridges the gap between hard rock and metal. 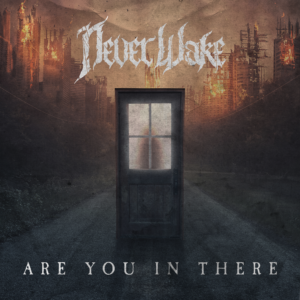 NeverWake consists of Johnny DiCarlo on lead vocals/guitar, Marcus Giannamore on drums/vocals, George Scott on bass/vocals and Justin Sanford guitar/vocals. NeverWake has seen much success since the beginning. Their last release, Incinerate, was produced by John Moyer of Disturbed. NeverWake and John formed a relationship early 2014. The artists struck a chord with one another that echoed a mutual artistic appreciation that inevitably led to Moyer and NeverWake working together. The band has just finished tracking the fourth release, also produced by John Moyer, and anticipates that release in late 2018. NeverWake is based out of Pittsburgh PA with an international social media fan base of over 100,000 followers. NeverWake released their third record “Incinerate”which was produced by John Moyer of Disturbed . This release follows two previous albums. NeverWake’s notoriety continues to increase in the US as well as internationally as noted by ReverbNation ranking the band #14 in the United States and #25 Global on the Metal charts. NeverWake is currently endorsed by Schecter Guitars, EMG pickups, DR Strings, and Splawn Amplification. NeverWake has had the incredible opportunity to to perform at major festivals such as Carolina Rebellion and Texas Rockfest-SXSW as well as share the spotlight with bands such as Korn, Slipknot, Butcher Babies, All that Remains, Act of Defiance, Nonpoint, Art of Anarchy, Periphery and many more. The band looks forward to an extensive live performance schedule heading into 2019.